Stroke Cadence3 is part of the A Stroke In Time series assumes you have read part 1 and understand the concepts, logic and terminology presented and have read part 2 and spent some time doing the exercises there. By now you are comfortable using the Tempo Trainer in mode 1 and have made some headway in exploring (and perhaps pushing) the limits of your tempo capabilities. Now it is time to gain or expand control over the tempo vs. distance per stroke (DPS) tradeoffs you make in swimming. One of the secrets to making the leap from “swimmer” to “really good swimmer” may be discovered by developing a range of tempos for each of the SPLs you use in training and competition. To work on increasing your tempo (stroke cadence3) range at a specific stroke count, swim a set similar to the “Increasing tempo range” exercise described in part 2 of this series, but your focus now is to maintain the same stroke count throughout the set. Start with a comfortable SPL and find your base tempo for that count. Swim a set of 10 repeats of a short distance (say, 50 or 100). Swim the first repeat at your base tempo, counting your strokes. Rest enough to allow a good effort on the next repeat. Set the beeper to a new, slightly faster tempo. Swim the same distance at the beeper tempo, counting your strokes – goal is to swim the same SPL you did in the previous repeat. If you were successful in holding SPL, set the beeper to a new, slightly faster tempo. If your SPL went up, then do not change the beeper setting (and consider taking more rest). Repeat from step 4 above. When you first try this set, you’ll likely only need to use the minimum .01 second increment for each tempo increase. As you gain skill you may later be able to use larger increments. Once you’ve done this set a few times with your most comfortable or habitual SPL, do it with each of the other SPLs you use in training or competition. When you first try this set, you’ll likely only need to use the minimum .01 second increment for each tempo increase (stroke cadence3). As you gain skill you may later be able to use larger increments. Strive to keep your walls (turns, pushoffs, breakouts) consistent throughout the set. The set can be done at base tempo or at faster tempos. Repeats can be done with a smaller or larger number of strokes. Instead of allowing unlimited recovery, repeats can be done on a specific interval. If doing this with a group on a single interval you’d want each person’s swim duration for each repeat to be roughly the same. But if your group has a wide variety of base tempos all going the same stroke count their swim durations will vary widely. Instead each person should go the first one using the number of strokes their tempo allows in a specific period. For instance, going 100 strokes at 1:00 Bpr1 setting takes 100 seconds – plus some extra time for turns. So would 110 strokes at 0:90 or 90@1:10 or 80@1:25 or 70@1:42 or 60@1:66, etc. If each person chooses the correct stroke count (part of stroke cadence3) everyone will take roughly the same amount of time to complete the swim. Then each swimmer sticks with his same stroke count on subsequent repeats. You can have swimmers ballpark this by using 200 minus their Bpr1 setting = total strokes (ex: 200-125=75 strokes at 1:25 Bpr1). This is a variation on the preceding exercise that will help you learn precisely how you are letting changes in tempo (stroke cadence3) affect your distance per stroke. Start by swimming 100 strokes at your base tempo (Bpr1 setting), trying to maximize DPS - note how far you go. Rest or swim easy until you feel well-recovered. Change your Bpr1 setting to a 10% faster tempo (ex. If you were just swimming at a 1:20 Bpr1 setting, you’d subtract :12, changing your Bpr1 setting to 1:08). Swim 100 strokes at the new faster tempo, trying to maximize DPS - note how far you go. Repeat from step 2 above until you reach failure (i.e. you attempt a tempo that you are unable to maintain for 100 strokes). Keep your walls (turns, pushoffs, breakouts) consistent throughout the set. Once you reach failure, try doubling your recovery period and then attempt the failed repeat again. Repeats can be done with smaller or larger tempo increments. One way to work this is to do the first few repeats with 0:10 tempo increments, then on subsequent repeats, drop the Bpr1 setting in 0:05 increments. Knowing what beeper increment directly offsets an increase or decrease of one SPL can be quite helpful when making tempo and DPS trade-off choices. Definition: TOBI – Trade-off Beeper Increment – the approximate beeper setting change needed to maintain the same swimming speed (stroke cadence3) – feet per second – when you increase or decrease your strokes per length count (SPL) by 1. 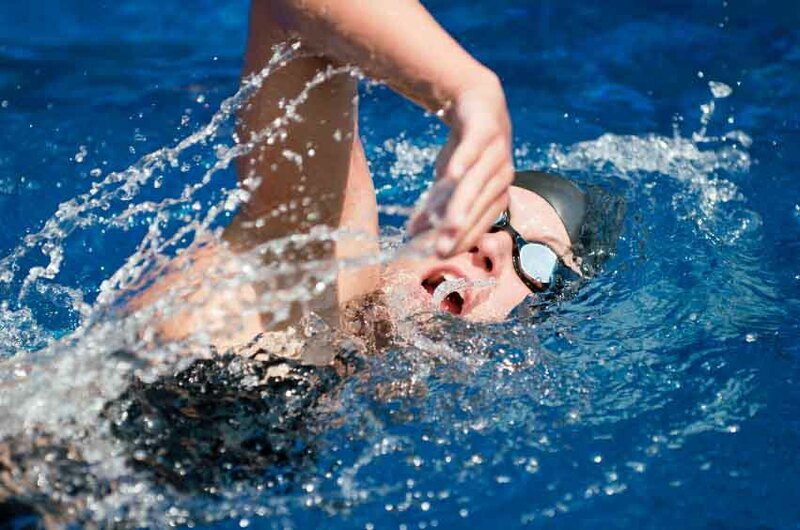 Swim a 100 at a specific Bpr1 setting using a “normal” stroke count for that tempo. Keep the stroke count consistent (each length at the same SPL). Note your elapsed swim time. Repeat the swim using the same beeper setting but add one to your SPL (i.e. if you did the previous swim at 17 SPL, do this one at 18 SPL). Note your (now slower) elapsed swim time. Decrease your Bpr1 setting by 0:01 (slightly faster tempo). Repeat the swim using the new faster beeper setting using the same +1 SPL (i.e. if you did the previous swim at 18 SPL, do this one at 18 SPL as well). Note your (now somewhat faster) elapsed swim time. Repeat from step 4 until your elapsed swim time meets your original swim time in step 1. The difference between your starting and ending Bpr1 settings is your TOBI in the vicinity of these tempo/SPL combinations. Whenever you are swimming in this SPL range, letting your SPL increase by 1 requires you to increase your tempo (decrease the Bpr1 setting) by the TOBI amount in order to be swimming at the same speed. Similarly, if you decrease your SPL by 1, you would slow your tempo (increase the Bpr1 setting) by the TOBI amount in order to be swimming at the same speed. All of this presumes you keep your walls (turns, pushoffs, breakouts) consistent throughout the set. If you have a wide variety of SPLs that you use, you should do this TOBI search exercise at several different points in your SPL range. In general, the longer your strokes are the greater your TOBI will be. If you have a wide variety of tempos that you use, you should do this TOBI search exercise at several different points in your tempo range. Regardless of which swimming job you have in mind, a fully stocked toolbox improves your chances of success. Using a beeper and the exercises I’ve laid out will help you get control of the tradeoffs inherent to navigation of the tempo vs. DPS gauntlet. And every new DPS&Tempo combo you get comfortable with becomes a shiny new tool in your swimming toolbox. Fully stocking your swimming toolbox will require time and patience. In fact, this should be a never-ending adventure. 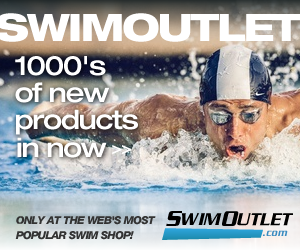 One of your goals each season should be the thoughtful expansion of your swimming tool collection. Emmett Hines is Director and Head Coach of H2Ouston Swims. He has coached competitive Masters swimming in Houston since 1981, was a Senior Coach for Total Immersion Swim Camps for many years, holds an American Swim Coaches Association Level 5 Certification, was selected as United States Masters Swimming’s Coach of the Year in 1993 and received the Masters Aquatic Coaches Association Lifetime Achievement Award in 2002. He recently overhauled his popular book, Fitness Swimming (Human Kinetics, publishers) and the second edition was released mid-2008. Fitness Swimming has been published in French (entitled Natation, pub. by Vigot), Spanish (entitled Natacion, pub. by Hispano Europea), Chinese (entitled Jianshenyouyong), Portuguese (Natacao Para Condicionamento Fisico, pub. by Manole) and, soon, in Turkish and Italian. Currently Coach Hines coaches the H2Ouston Swims Masters group in Houston, TX and works privately with many clients.